If you think same-day hiring is not possible, realize that college grads, interns, and most temps are now already hired in a single day. Low unemployment dramatically impacts hiring results because the competition or bidding for talent is so stiff. Top candidates don’t just receive multiple offers, but they receive multiple compelling offers. And with so many great options, few top candidates are willing to wait for the 23.8 days that it takes most U.S. firms to complete their interviews (Glassdoor survey) or the 42 days it takes to make a hire (SHRM survey). A Robert Half “timing is everything” survey revealed that when faced with a lengthy hiring process, nearly 6 out of 10 (57 percent) candidates will pursue other roles or stay put in their current job. And this multimillion-dollar loss is why many hospitals and high-tech firms have shifted to some variation of what is known as a “same-day hiring process.” Here’s an example, “A lot of times we’ll bring people in, and they get same-day offers. We’ve had to do it … recruiting keeps me up at night” (Sherry Whiteley VP at it Intuit). The old axiom of hiring slow to get quality has now been replaced … because top candidates will be quickly off the market, quality hires now result from matching the interview and the offer speed of your best talent competitors. Depending on your firm’s needs and capabilities, there are four variations of the same-day approach to consider. Same-day hiring — this is the most aggressive of all of the variations. It begins by scheduling all finalists for an all-day assessment (all candidates come in on the same day). After the assessments are completed, an offer is made to the best candidate at the end of the day. But under this variation, the finalist is encouraged or incented (with an exploding bonus) to accept the offer before they leave the building. If getting every candidate in a new single day is a problem, consider “same-week hiring” where all finalists know that the decision will be made before the end of the week. 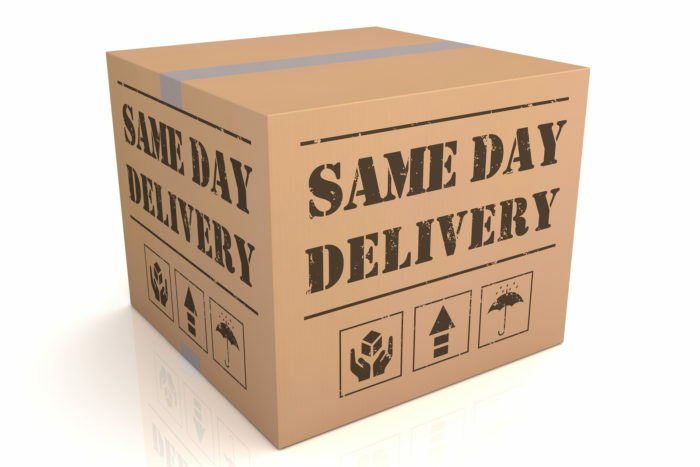 Same-day offers — the Robert Half survey revealed that nearly six in ten candidates “find the most frustrating part of the job search is the long wait after an interview to hear if they got the job.” So, under this variation once again all interviews are scheduled on a single day but at the end of the day an offer is made to the best candidate, and the others are told their ranking. Then the offered candidate is allowed to wait several days before making their final decision. Same-day interviews — this same-day interview approach is the easiest to implement. Under it, you merely schedule all of the interviews (for all of your finalist’s candidates) on the same day, so that all of your candidate assessment is completed during one day. Having all interviews on a single day also makes it much easier to compare candidates side by side. Under this approach, the actual candidate selection decision may occur as many as several days later. A shorter variation is “same evening interviews,” where the assessment is squeezed into a single work night evening. A national hiring day — this increasingly popular approach publicizes the fact that the firm is hiring thousands of employees on a single day. It is effective because it garners a great deal of free publicity and a buzz about working at the firm. It also adds value because hiring managers only need to focus on hiring for a single day. You may be worried that same-day hiring may result in fast but inaccurate hiring decisions. The accuracy of any same-day hiring process will be increased dramatically if you include one or more of these six key critical success factor components. Use a hiring committee — the most important quality improvement component by far is to use a hiring committee to make the same-day hiring decision. This is because many individual managers hire infrequently, and that makes them prone to mistakes. Firms like Google and Intuit have found that a formal hiring committee with a structured process is clearly superior. The hiring committee approach is more consistent, and it’s easier to monitor. It also makes more accurate one-day decisions because it is staffed with trained professionals who have proven to have reduced biases and an eye for talent. And because of their volume of hiring, members are much more up-to-date with the talent marketplace and with what it takes to sell a hard-to-land candidate. During times of low unemployment, a much smaller percentage of candidates will be easy to sell active jobseekers. So overall the importance of having a great selling capability becomes paramount. Developing a talent pipeline provides more time for assessment — the second component that improves results is a talent pipeline where you identify quality prospects before you have an immediate opening. This “pre-need” feature provides you with enough lead time so that you can slowly assess and check the references of top prospects from a distance. Stretching out the assessment time also allows you to narrow down the areas that you need to assess on interview day. Rely on “I know them well” referrals for an extra level of assessment — the next important feature is to rely primarily on referrals from your top-performing employees. Make an effort to populate your same-day referrals from top employees. This is effective because if a top employee has already seen their work and assessed and recommended a same-day candidate, this added layer of screening will dramatically reduce your error rate. Give them real problems — because candidates are there all day. You can supplement standard structured interviews with more predictive actual problem-solving assessments like whiteboard tests. Determine the jobs and the candidates where speed matters the most — it’s not necessary to use same-day hiring for jobs that are easy to fill or for candidates who are not in high demand. So, instead, it makes sense to focus same-day hiring where speed really makes a difference. So, periodically, call top candidates in each of your key job families to determine how many days on average that they remain active in the job market. When that “still available” time for the best candidates dips below 10 days, same-day hiring becomes essential. Also, hold peer interviews — because you have all day to assess the candidate, add a peer interview to the mix. That is because potential coworkers are more likely to accurately identify potential toxic employees. If you or your superiors need to be convinced about the value of one-day hiring, here is a quick summary of the many benefits that result from using this approach. You will land a higher percentage of top performers — this is the highest value of all benefits. There is simply no public data that shows that a longer time to fill has a positive impact on hire quality. And to the contrary, one study showed that the top 10 percent are gone within 10 days. With speed, you will hire more top performers, technologists, and innovators who simply wouldn’t still be available if you waited the traditional average 42 days. And additionally, if you force candidates to make an acceptance decision quickly, you will also end up hiring decisive employees. Improved offer acceptance rates — because nearly one-third in the Robert Half survey said, “a protracted hiring process makes them question the organization’s ability to make other decisions” (when they become an employee). As a result, fast decision-making improves your image and in turn offer acceptance rates. In addition, giving candidates lots of time to think about whether they want to work for your firm may actually raise doubts and questions. Because the selection process lasts all day, the candidate also gets more time to know and like your team. And finally, the advanced selling ability of your hiring team will also help improve offer acceptance rates. Less lost productivity due to fewer vacant position days — filling the job faster means fewer expensive “position vacancy days” where no work is getting done. Filling positions quickly will also lessen the burden on an overworked team that is now being forced to fill in. Same-day hiring impresses both top candidates and hiring managers — same-day hiring impresses top candidates with your ability to make fast decisions. Quick hiring also impresses hiring managers because they get better quality talent much faster, and because it’s over quickly, they can quickly get back to their normal work. Stop your best-yielded candidates from applying for additional jobs — simply knowing that a decision will be made quickly would prohibit many from continuing to apply for more jobs. Not applying for additional jobs will effectively decrease your competition. You can reduce the chance that a candidate will stay in their current job — the previously cited Robert Half survey revealed that a lengthy hiring process would cause nearly 1 out of 5 candidates “to stay put in their current job.” Because most in-demand candidates are currently employed, they are likely to get a counteroffer from their current boss. However, getting them to say yes on interview day before they leave your facility can dramatically reduce the chance of them even receiving a counter offer from the current boss. It provides a competitive advantage — because the average time to fill is 42 days. Concluding interviews and making offers quickly provide your firm with a significant competitive advantage over other talent competitors. In this case, “the early bird catches the worm” analogy is true. It will improve your external brand image — candidates themselves want the — often painful — hiring process to be over quickly. And when it takes too long in their view, they are likely to post that complaint on external sites like Glassdoor. And the praise that you receive by reducing interview and hiring time may build your employer brand image and help you attract more candidates. Recruiters also like the approach — a long, drawn-out hiring process requires a lot of recruiter time. So, nothing makes a recruiter happier then closing one of their requisitions in a single day. Recruiters usually also prefer hiring committees because they are more objective and straightforward. Incidentally, recruiting must develop continuous improvement metrics to assess the effectiveness of the same-day process. You hire fast for one primary reason, to get quality hires. Extended delays will cause you to lose top quality candidates to other firms, and that will reduce your overall quality of hire. Historically, most managers have thought that slow hiring is best. However, during periods of extremely low unemployment, the opposite is even less true. The intense competition for talent simply means that the best won’t wait around for you to make a slow hiring decision. To put it simply, when the competition for top candidates increases, your time to interview and time to fill must become shorter and move in the opposite direction. You don’t need to use an expedited process for every job. But for those jobs where top candidates are gone within a week, you really have no choice. Author’s Note: If this article stimulated your thinking and provided you with actionable tips, please take a minute to follow or connect with me on LinkedIn.